Improved power supply and perfect grip. The Multifunctional Handgrip S fulfills a dual purpose: it holds an additional battery, improving the power supply, and offers a comfortable grip for vertical formats. A second release button and a click wheel facilitate freehand photography, which is ideal for shooting portraits, for example. 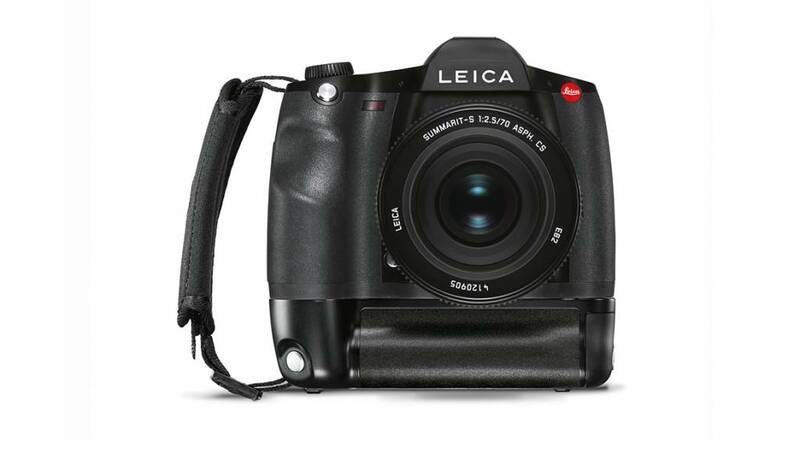 The Leica Hand Strap S is also available. It is made of neoprene and uses innovative Velcro that allows perfect grip and security.